These Double Chocolate Brownies are so good it’s hard to just have one. They are oil-free and contain no flour. I RECENTLY PARTNERED WITH PRODUCE FOR KIDS AS A DIETITIAN BLOGGER. YOU CAN FIND MORE INFORMATION HERE. ALL OPINIONS EXPRESSED ARE MY OWN. Black beans. Yes, these are black beans brownies – and no, you can’t taste or see them. These homemade brownies are so good! 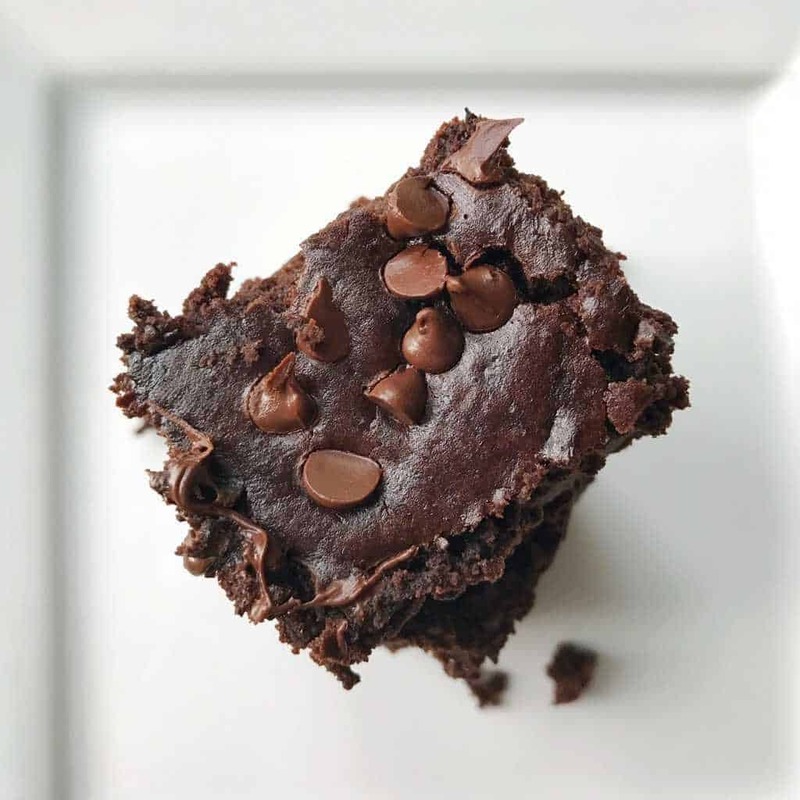 This ingredient might sound odd, but black beans are a fantastic flour replacement, making this a gluten-free brownie recipe and giving it an extra boost of protein. Protein is essential for growing children, it’s responsible for the building, maintaining, and repairing of tissues. On average, kids aged 4-9 years require about 19 grams of protein daily. Children 9–13 years of age require about 34 grams of protein per day. Fiber comes in two forms: soluble and insoluble. Both are essential to keep your children’s digestive systems running smoothly. Soluble fiber breaks down with water in the GI tract, while insoluble fiber does not. Because of this, insoluble fiber helps with constipation and keeps the GI tract running properly. How much fiber per day should your child be consuming? The American Dietetic Association recommends a child’s daily fiber intake should equal their age + 5 grams. For example 5 years old + 5 grams = 10 grams of fiber per day. What are antioxidants? Antioxidants are vitamins and minerals that defend the body’s cells from dangerous molecules called free radicals. Free radicals are natural byproducts of digestion and result from environmental factors such as cigarette smoke and air pollution. Free radicals make healthy cells unhealthy and may play a role in various diseases. Antioxidants fight off these harmful free radicals and restore them as healthy cells, making antioxidants very good for you. Black beans are high in antioxidants and are mainly found in their dark colored skin. To make these Double Chocolate Brownies start by pureeing the black beans in your blender. The rest of the ingredients are then added, blended, and baked. 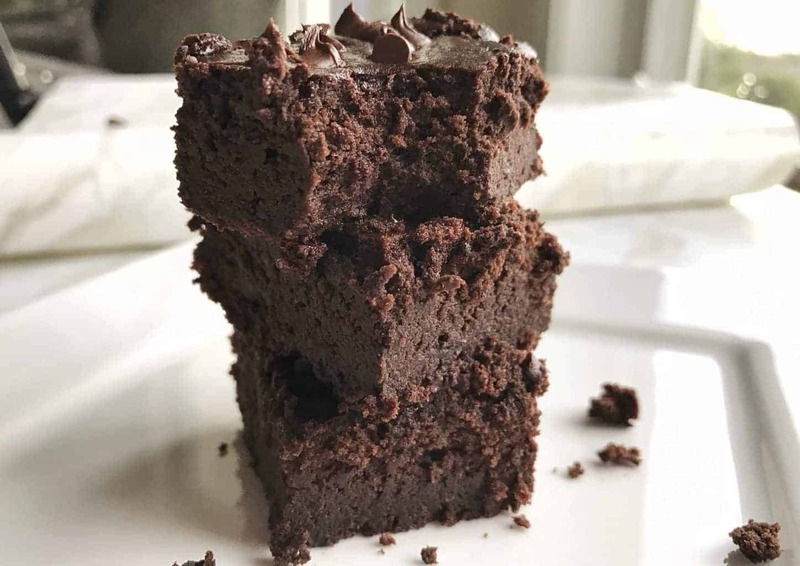 This super easy black bean brownie recipe results in fudgy, delicious brownies the whole family will enjoy – and they’ll never know they are made with beans if you don’t tell them! These double chocolate brownies are so good it’s hard to just have one. They are oil-free and contain no flour. 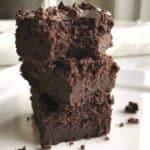 The best black bean brownies you will ever try! Prepare 8 x 8-inch baking dish with non-stick cooking spray. Add drained black beans plus 2 tbsp. water to blender. Puree until smooth. Add additional tbsp. of water if the beans are still too thick to puree. Scrape sides to ensure all beans are pureed. Add the rest of the ingredients to blender, blending until well mixed. Bake 30 minutes or until knife inserted into center of pan comes out clean. I wasn’t sure what to expect with these having black beans…but oh my goodness they were delicious! !